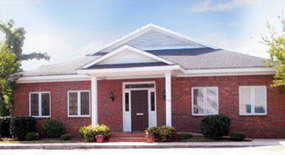 Our goal is to provide you with gentle, state-of-the-art periodontal therapy in a comfortable, safe, and caring manner. 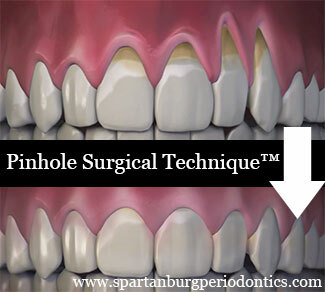 We are a patient oriented periodontal practice in Spartanburg. We believe communication is the key to giving you the best possible care. On your first visit you will receive a complete examination. Afterwards, Dr. Graham will go over your findings and treatment options. We want you to be completely informed of your choices before proceeding with care. Our treatment recommendations tend to be conservative. By using minimally invasive, microsurgical techniques, Dr. Graham can now perform fast healing, virtually painless gum recession treatments and gum grafts. Gum recession can make anyone look older and causes a number of other problems including tooth sensisitivity and root cavities. Dr. Richard Graham is a periodontal and implant specialist located in Spartanburg, SC. He specializes in the treatment of gum disease and the placing of dental implants. Always looking to provide his patients with the best and most comfortable treatment available, he was one of the first in the area to offer Laser Periodontal Therapy (also known as Laser Gum Therapy, or LANAP). Click here to read more about Dr. Graham. (864) 582-1415 Click here to Email Us Web Design by Dentist Design, Inc.